The most excitement, fun, emotions and battles has begin with a bang for England Fans with victory to celebrate. Yes, it’s Football FIFA 2018 World Cup in Russia. 11 most sensational and iconic cities in Russia are going to witness the Football FIFA World Cup 2018 fever and many football fans will be driven to Russia. Everyone is getting excited about this tournament as 32 countries are playing for World Champion Title in Football. According to Bloomberg survey reports, it seems that Brazil is a strong competitor for winning 2018 world cup... But at WebhostUK LTD we support England Team and wish them Luck to win FIFA world cup 2018. WebhostUK LTD is thrilled to announce FIFA 2018 World Cup Offer on all UK web hosting services. Come together and celebrate this World Cup with us and cheer for England!!! We are offering 18% discount on all web hosting UK services. To take benefits, make use of "FIFA18" coupon code while placing an order. Another benefit of this offer is predicting the winner for FIFA 2018 and get 100% money back + the same amount of credit in your account. The prediction should be made before 5th July 2018. Note: You can send your order id and Winner team name to our [email protected] after placing an order. To place order, refer following links: Shared Hosting Plans: https://www.webhost.uk.net/web-hosting.html Reseller Hosting Plans: https://www.webhost.uk.net/reseller-hosting.html E-commerce Hosting Plans: https://www.webhost.uk.net/ecommerce-hosting.html Cloud VPS Hosting: https://www.webhost.uk.net/vps-hosting.html Dedicated Servers: https://www.webhost.uk.net/dedicated-hosting.html About FIFA 2018 World Cup Offer: 1) Order any of our Shared, Reseller and VPS Hosting plan and get 18% discount on the first payment. 2) Get a chance for 100% discount on next payment by predicting the winner for 2018 World cup. 3) Make use of "FIFA18" coupon code while placing an order to avail discount. 4) Existing customers can take benefit of this offer by placing new orders. Features available with WebhostUK plans: 1. We provide 24/7 support through live chat and ticket system. 2. Free Backups. 3. Free account migration. (Only in case you’re current host uses cPanel) 4. 99.9% Uptime Guarantee. 5. Free Softaculous integrated with cPanel (350+ scripts) 6. Free Attracta SEO Tools integrated with cPanel 7. Free Spam Assassin. 8. Free Site Builder. 9. Upgrade/Downgrade account anytime. 10. Efficient and prompt support. 11. 30 Day Money Back Guarantee. (Only on Shared & Reseller Hosting Plan. No refund for Domain, SSL, IP, Server and VPS and third party license orders) You can take benefit of FIFA 2018 World Cup offer till 15th July 2018. Major issue caused during page loading is due images or image size they need to be compressed with optimal size. Any .js or css scripts need to be loaded correctly to avoid issues with script loading. CDN method is good for the heavy E-commerce website. 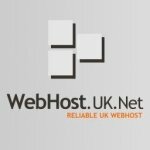 Hello Everyone, I am Max from WebhostUK LTD. We are web hosting in UK offering Cloud Web hosting and managed Servers in UK and US. Its good to be a part of this forum, would like to share my knowledge and learn more things from other forum members. You will have to do lot of work in brand building this will include social media as well as adword advertisement on google and other search engines once you create a known brand name that will make things easier to sell on your Ecommerce store.